Personal hygiene includes the oral hygiene and also dental care which plays a vital role in each and every individuals. It is the exercise of keeping your teeth, mouth and gums cleans to prevent the tooth and the gum diseases such as gingivitis, cavities halitosis and periodontal disease. Proper hygiene can prevent severe diseases which helps you to achieve an optimal health condition as manifested in the whiter teeth, pink gums, and the fresher breath. Even though a good dentist can do wonders, oral hygiene begins first at home. Here are the few useful tips to improve your routines on the healthy oral care. The first and the most important hygiene practice is cleaning your teeth regularly. Brushing your teeth on a daily basis is the preventive care as it helps to remove the plaque and to obstruct the formation of the tartar. Always brush your teeth after every meal and before the bedtime. Brush your two times daily and use the toothpaste which contains fluoride when brushing to help prevent cavities. Also, remember to brush your tongue to get rid of the mouth-borne bacteria. Use a soft-head toothbrush to avoid the irritation of enamel. Flossing every time after brushing helps to remove the food debris and plaque which stuck in your teeth, and also helps with the breath. Floss the inner areas of your teeth, and also ensure that you don’t hurt the gums while flossing. A mouthwash can also aid with oral health and help you achieve fresher breath. Make it a habit to gargle after each and every meal. Oral hygiene can be influenced by the diet choices and the lifestyle. A good diet is essential for the healthy teeth and gums and for the overall health. Avoid foods with high concentration of sugar such as the soda, sweetened teas and fruit juices. Drinking a lot of water is very vital for oral hygiene. Acidic foods and drink must be avoided as they can promote enamel wear anto prevent tooth decay. There are good dental care practices which prevents frequent dentist visits, gum disease, yellowing teeth, and unpleasant breath. Replace your toothbrush every two months to facilitate the proper cleaning. Also, stop smoking and chewing tobaccos. Massage your gums after the cleaning of your teeth to stimulate the flow of blood to the gums and enhance the gum health. Irrespective of how well you care your teeth at home, it is still important to visit the dentist often. 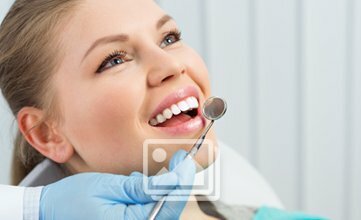 Regular dental check-up is essential for optimum oral care and hygiene. Get your teeth checkups and cleanings at the dentist every six months. Your dentist has the special skills and instruments to clean your teeth more thoroughly and also provide you with vital oral care tips. Practicing the good oral health can help in your overall well-being. These are the just few of the things that can helps you to maintain good oral hygiene and having a dazzling smile and most importantly stays healthy.